When you first cross the threshold of 30 years of age you never feel any difference as you are still young and energetic but somewhere between the age of 35 and 45 you realise that the body is no longer responding in the familiar way it has for the first 30 plus years of your life You may find our stamina decreasing, sometimes a little and sometimes a lot. Sleep pattern changes and so does the eating habits. It is something that no one wants to experience, but this change is inevitable. 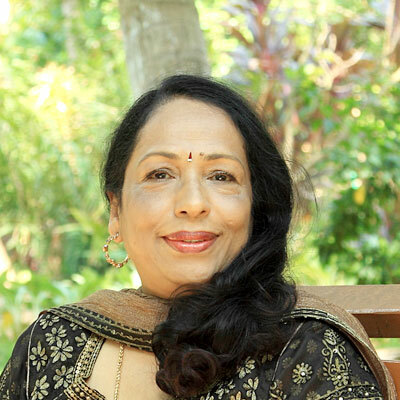 Ayurveda is science of knowledge that balances life through changes in diet and lifestyle. According to Ayurveda you can lead a very healthy life if you can inculcate some healthy habits in your daily lifestyle and most of the things are associated with our body type and the diet we take. Any imbalance in this may lead to problems. So, to stay fit in life you must have a proper routine and follow a few simple things. Follow these simple steps of ayurvedic health improvement for good health and healthy life. · Drink warm water throughout the day. It is actually the frequency of the water that matters a lot rather than quantity. You should take small amount of water after every hour or half an hour. · The body after a certain age tends to become more dry and you can sense dryness of skin and eyes Ayurveda suggests that daily or frequent herbal oil massages will be rejuvenating for the body. Try and get the daily oil massage. If this is not possible then take the body oil massage on your holiday. This has the soothing effect on your vata. · Ayurvedic massages and ayurvedic health treatments work wonders in your body and mind. It not only refreshes and rejuvenates you but also releases the harmful toxins from your body and makes you feel younger. 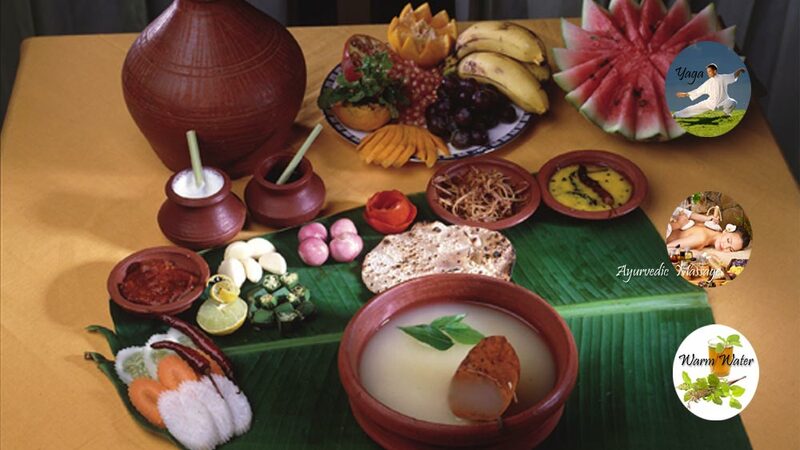 · Ayurveda also advises that you must always take simple and relaxed meals for good health. Never rush through your meals always sit down to have a meal. Do not read a book or watch anything while you eat. Eating should be balanced both in terms of its quantity and nutritional requirement. · Eat when you are actually feeling hungry. Try and avoid all the in between snacking. · As far as possible to lead a healthy life and improve your digestion process eat freshly prepared and warm food. Do not skip breakfast and avoid heavy food at night. · Ayurveda also suggests that every person must go through the body cleansing process especially after the age of 30- 35 to release all the accumulated harmful toxins and wastes from the body and the best way to do so is through Panchakarma – the Ayurvedic health treatment which deals with restoration of youth with help of medicated oils. Panchakarma helps to support detoxification and rejuvenation of our bodies and minds. · Apart from all exercises and food one must take a sound sleep. If you are unable to get good and sound sleep then ayurvedic health improvement recommends that you must take warm water bath, get ayurvedic massages from an expert and change your diet. The Ayurvedic approach to living a long and vital life requires awareness and consistency. Ayurveda also suggests a specific daily routine for each individual that can be followed to lead balanced and healthy life. Dinacharya is the ayurvedic term for daily routine. Following a proper dinacharya is one of the best methods to prevent disease, promote good health and prolong life. Unhealthy lifestyle can lead to problems like acidity, indigestion, stress and other lifestyle-related disorders.